UNDERSTANDING MANAGEMENT, Sixth Edition provides an engaging survey of modern management practice that seamlessly integrates classic and contemporary principles. Rather than concentrating on large global enterprises, the text focuses on dynamic small to mid-sized "local" businesses and entrepreneurial issues, giving students valuable real-world insights and practical skills they can readily apply when beginning or continuing their careers. To help students deepen their understanding and hone their skills, numerous skill-building and application exercises appear in every chapter. 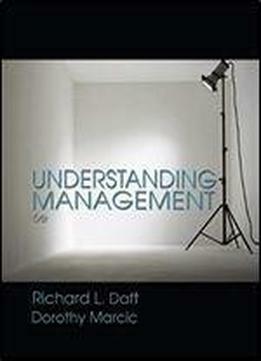 UNDERSTANDING MANAGEMENT also features a streamlined format and impressive ancillary package that make it affordable, flexible, well-suited to any course, and effective for students of diverse backgrounds and interests.